We have a got a large offer of different coloured waiter’s bags made out of high quality real leather at a very fair price! 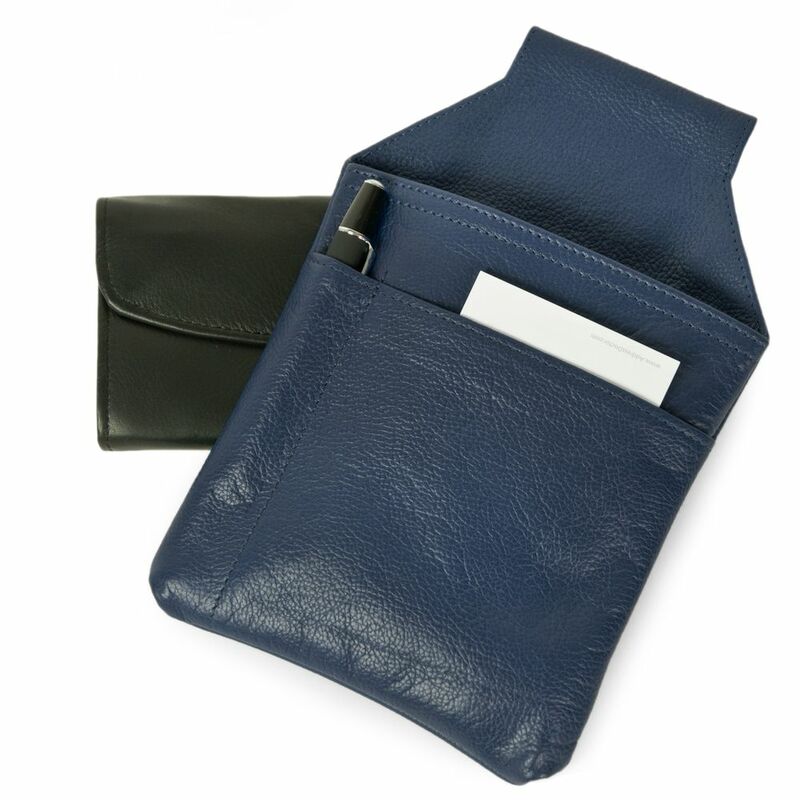 Whether you like to work in the classic way – with a wallet, notebook and pencil or electronic with an order pad – you are equipped perfectly with this practical waiter’s holster! The waiter’s bags fit perfectly to our large selection of waiter’s holders. 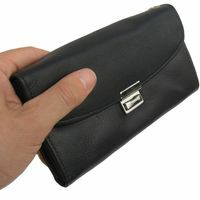 Why don’t you order a practical professional purse in addition (Hamosons 1012, 1013, 1014, 1015, 1016). 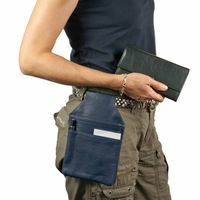 Please note: The steward’s wallet, which is seen alongside to the belt bag in some pictures, is not included in the delivery. So if you would like to complete the waiter’s set, please be sure to order the server’s money holder in addition! 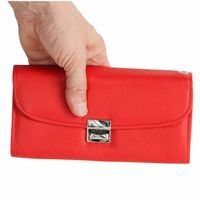 Combine our waiter’s bag with our waiter’s wallets – either one colour with a matching one, so e.g. 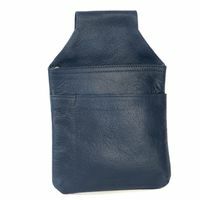 blue holster with a blue purse or experiment with the happy, bright colours, e.g. red pouch with a blue bag. Go ahead and be brave – we have got a lot of colour combinations on offer. Bring some colour into your daily life! 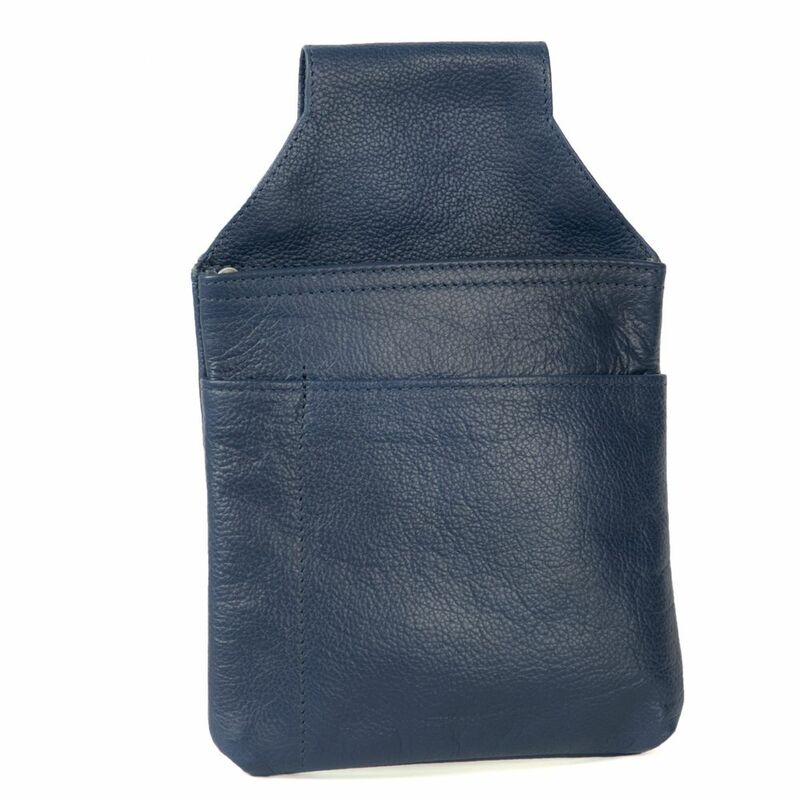 Our practical waiter’s holster with its three slip compartments of different size is perfectly adjusted to the requirements of serving: the large compartment fits a purse or a waiter tablet for electronic orders. The smaller compartment is designed for a note pad and the narrow pocket is intended for a pencil. You can attach the steward’s holster at the large loop which fits a belt up to 7 cm wide. Furthermore, there are two more robust eyelets to attach a chain for protection. 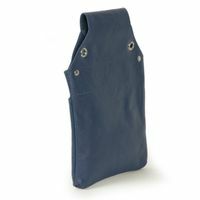 In addition, the high quality, soft Nappa cow leather is so sturdy that the bag always keeps its shape – no matter how rough you handle it in daily use. You will see, this kind of holster will make your work much easier! 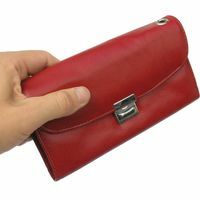 In addition to the belt bags, which come in many cheerful bright colours but are also available in classic black or brown, we offer the matching coloured money holders as well (1013, 1015, 1016). Why don’t you order one of these pouches in addition now and complete your waiter’s. 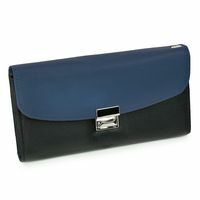 Please note: The wallet, which is seen alongside to the belt bag in some pictures, is not included in the delivery. So if you would like to complete your waiter’s set, please be sure to order it in addition!